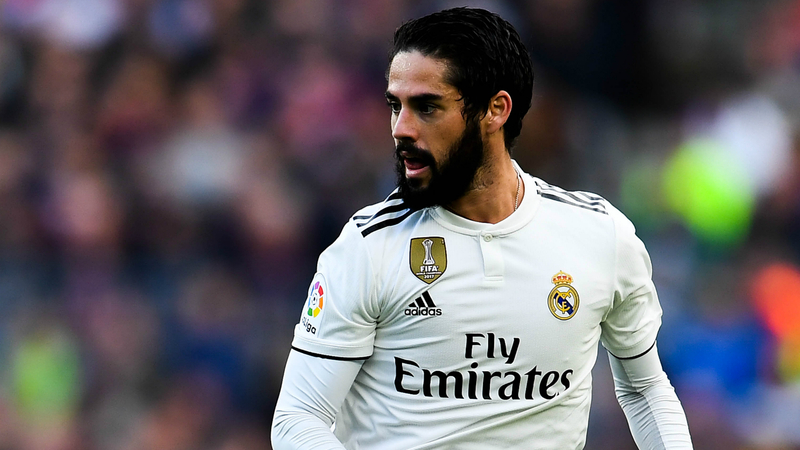 Rafael van der Vaart claims out-of-favour Real Madrid midfielder Isco is the "best player in the world" as he struggles for game time at the Santiago Bernabeu. Isco's future in Madrid is uncertain, with head coach Santiago Solari continuing to overlook the Spain international amid links to Premier League champions Manchester City. The 26-year-old has only made five LaLiga starts this season, though he was named in the starting XI on Wednesday as Madrid lost 1-0 to Leganes but still advanced to the Copa del Rey quarter-finals 3-1 on aggregate. Former Madrid midfielder Van der Vaart - who retired in November - has been left baffled by Isco's snub. "It's crazy for me, he is the best player in the world," Van der Vaart told Marca. "But, he always has problems with coaches and even [Zinedine] Zidane never trusted him 100 per cent. "When I go to watch Madrid I'll see if he starts and if not, I'm going home." Madrid have endured a difficult season following Zidane's shock exit at the end of 2017-18 - Julen Lopetegui sacked after just three months in October. Solari has struggled to convince since his appointment in November, Madrid fourth and 10 points behind leaders Barcelona as reports link former boss Jose Mourinho with a return to the club. Asked about Mourinho, who was sacked by Manchester United last month having guided Madrid to LaLiga glory in 2012, Van der Vaart said: "I like him a lot because of how he is, he's very direct. In Holland we like direct people. He's able to tell you that 'you don't play'. "I would like to see him return to Madrid. Why not? He's the 'Special One' and he is a winner. I don't only like him as a person but as a coach, he has won a lot."